I don’t know much math, but my calculator says if you could cut your food spending by 20%, you could save almost $1,500 a year. I don’t know much about humans either, but for a goblin that’s a lot of money! Now if you’re like Mrs. Goblin and me, you’ve already tried the usual ways to save on food — eating out less, buying generic, and eating lots of ramen noodles and mac & cheese — and all it did was give you a stomach ache. That’s why Mrs. Goblin and I were really excited when our friends Gary & Gertie Goblin told us about meal planning and how it saved them so much money. I was skeptical at first, but now Mrs. Goblin and I have “seen the light” as they say, and now we totally ❤️ meal planning. Rather than beat around the bush (Goblins hate bushes) I’m gonna assume you’re already familiar with meal planning (click here if not) and let you know that the BEST way to save money is with a proper “meal planner” (click here to see why). Real Plans says “eating good food should be easy.” Well as Gabby would say, “no duh!” Fortunately, they’re not all talk. Real Plans really does make it easy to pick just the recipes you want, and includes lunch, dinner, and snacks for one price. Plus it integrates with Whole30 if that’s your thing. They’ve also got a great mobile app, and 24/7 customer service via chat or email. eMeals is “the way smart families do dinner,” so if you’re smart, eMeals might be for you. eMeals supports a ton of different diets including the usual suspects (like traditional and vegetarian) along with some less common ones (like slow cooker and 30-minute meals) so it’s great if you’ve got specific needs. Plus, you can switch plans at any time to mix it up. The Fresh 20 plans dinner “so you don’t have to.” That’s like, really nice of them. Their plan offers a wide variety of recipes by professional chef Leslie Babikan, but it’s not really customizable like Real Plans or Plan to Eat (below) so hopefully you like them! The Fresh 20 also has a kosher plan and a plan “for one” which is great if you’re flying solo. Plan to Eat wants to “make eating at home easier,” which I’m sure you’ll agree would be great. With Plan to Eat you can actually collect recipes from anywhere and drag-and-drop them onto your plan for ultimate flexibility. Then you can print a full shopping list, or pull it up on your phone. Plan to Eat also offers a 30 day free trial so you can see if it’s right for you. Since you might be new to meal planning like I was, let’s start with answers to some frequently asked meal planning questions. Meal planning is pretty simple… even a Goblin can do it, LOL! Each week or so you spend some time making a plan for all the nutritious meals and delicious snacks you’re going to eat. Then, you buy all the stuff you need all at once. How’s that different from what I do now? Most people think they are planning. We did too! But more often than not, you’re really just winging it. Maybe you’ll figure out what you want to eat for a couple of nights, so you still end up grocery shopping at least a few times a week. Worse yet, on the nights you can’t make it to the grocery store, you just grab Happy Meals for the kids, Subway for yourself, and call it a day. Seriously, tell me I didn’t just read your mind! What’s the “right way” to do meal planning? Good news… there is NO right way to do meal planning. You can plan a few meals at a time, or do a whole month at once and store your meals in the freezer. The only important thing is that you have a plan and stick to it! Is it hard to get started with meal planning? No! All you really need is a pencil and a piece of paper. Bonus points if you know how to search for recipes online, and have some idea how to put together a meal. Keep on reading to see 5 ways meal planning can help you save, or click to see the best meal planners. So I’m sure you’re wondering, how exactly does this save me money? Well, let me count the ways! If you know you’re doing turkey burgers AND turkey tacos, you can buy that 3 lb family size package and be confident you’re not going to throw half of it away. Congrats, you just saved $5 compared to the cost of buying a 1 lb package every time you shop. They say time is money. Well, every time you go grocery shopping you’re wasting time wandering the aisles at Aldi when you could be working or hanging with your family. Plus, fewer trips to the store also means you’re less likely to waste money on impulse buys. And don’t me started on how much you’ll be saving on gas! When you’ve got a plan to eat at home, you won’t be tempted to grab those nuggets and subs for dinner on the way home from work, and you’ll certainly be less likely to eat out, which will save you a ton of coin. That said, if you’re going to eat out, you should know that the entire Goblin family is obsessed with the unlimited breadsticks at Olive Garden. They’re soooooo good! Once you start meal planning, you’ll unlock a hidden benefit. Since you’re planning in advance, you can keep your eye on coupons and other sales, and incorporate great deals into your plan. If you’re into “extreme couponing,” you’ll find it works really well with meal planning. Only a few things that feel better than watching your weekly food total drop as the cashier rings in your coupons. Kevin, my frat brother at Gamma Beta Lambda (ΓΒΛ), used to say, “the best insurance policy is a healthy lifestyle.” He’s right! Since we started meal planning, the Goblin family is eating healthier and feeling better. If your New Years resolution was to get in shape or eat healthier, meal planning may be just what the doctor ordered. You’ll feel better, and save on copays. It’s a win-win. Read on to learn how a meal planner helps you save, or click to see the best meal planners. Though most meal planners cost money, the time and money you save will totally make up for it. And, most of them include enough amazing recipes that you won’t have to buy a cookbook or search AllRecipes ever again. What is a meal planner? These days, a “meal planner” is almost always website that you can subscribe to with the ability to find recipes, get your meal plan for the week, and print your shopping list. Some meal planners simply send you a PDF of recipes each week, but the best meal planners let you fully customize your plan, have iPhone and Android apps, mobile-friendly websites, and great customer service. How do I choose a meal planner? Diets: Make sure the planner you choose supports your diet. Most meal planners support traditional, vegetarian, gluten-free, and other diets. Customizability: If you’re a picky eater, make sure the meal planner you choose is customizable. Otherwise, a preconfigured plan may suffice. Cost: Most reputable meal planners are upfront with pricing. Take time to make sure you understand the cost, and be sure to read the fine print. Apps: Whether you’re an iPhone or Android person, check to see if the meal planner has an app for your device. Availability on the go is huge. Support: Do you need a lot of support? The best meal planners offer 24/7 customer service by email and chat so you can get the support you need. How much does a meal planner cost? While the simplest meal planner (pencil and paper) is basically free, a “good” meal planner will cost about $3 – $10 per month, depending on how you pay (monthly, annually, etc) and what plan you you choose. Fortunately, once you start meal planning, you’ll easily make that back in savings. What are the best meal planners? That’s up above! Click to see the best meal planners. I wish I could tell you all of the cool things Mrs. Goblin and I have bought with all the money we’ve saved by meal planning, but for the most part, we’re just leaving it in the bank. If you’re a saver or a spender, meal planning is a great way to have a better shot at achieving your goals. I'll email you money-making ideas daily. Yes, I want 5,000 free points towards gift cards taking simple online surveys. Sign me up for PointClub too. 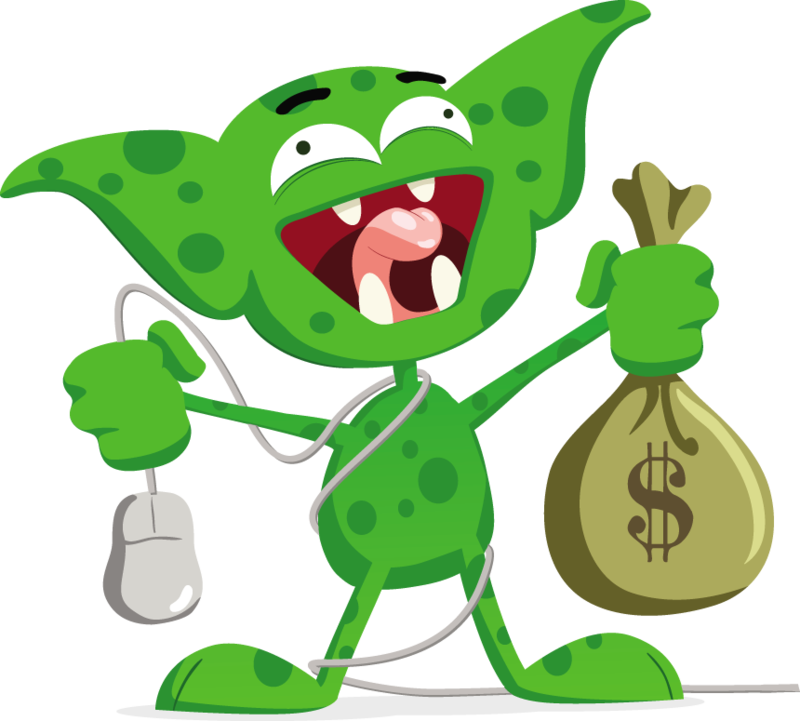 Dollar Goblin may be compensated in exchange for featured placement of certain products and services, or when you click links or ads on this website.